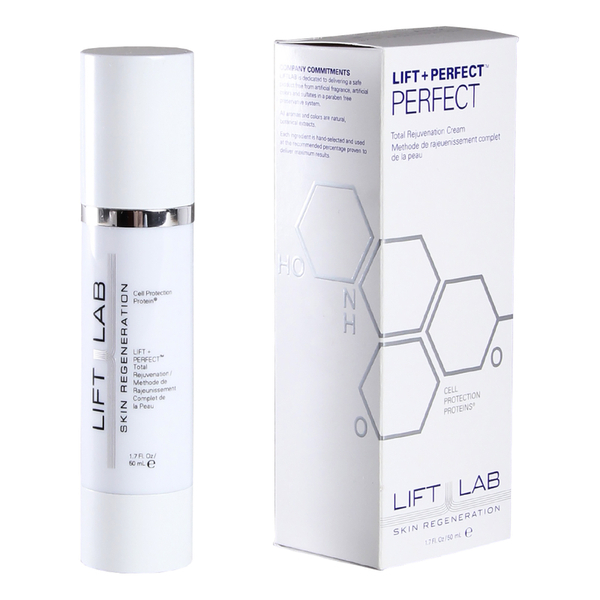 LIFT + PERFECT™ Total Rejuvenation Cream is a multi-tasking breakthrough formula for complexion perfection. 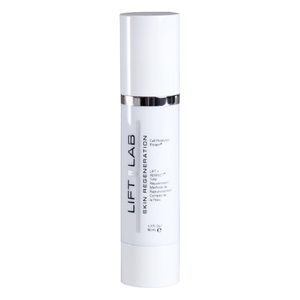 The results: reduced wrinkles and increased skin elasticity, even skin tone, reduced blemishes and minimized pore size. Intense moisturization levels infuse skin with radiance and glow to target the key signs of aging. Along with the highest concentration of Cell Protection Proteins® to dramatically increasing collagen and elastin production, active ingredients include: Gwennis & Belides™, to reduce irregular pigmentation by 36%, size of dark spots by 75% and even skin tone, Dermaclarine™, a blend of enzymes to refine skin, reduce blemishes by 61% and minimize pore size by 32%, plus Rubixyl, an anti-inflammatory peptide to stimulate production of a natural anti-irritant peptide, resulting in calmer skin. Addresses all signs of aging. Reduces blemishes and pore size.